Classic fantasy. 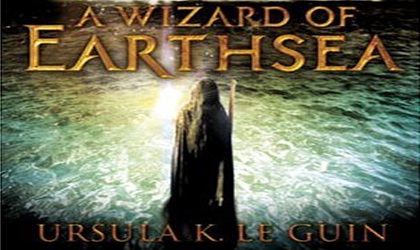 I’m ashamed to admit that it took me so many years to finally pick The Wizard of Earthsea up. Ursula K. Le Guin was the YA Tolkien of the 60’s. Earthsea is a fully realized realm, where every isle has been painstaking thought out, down to the lay of the land to the languages and myths therein. I’d highly recommend for any preteen (or older reader) who loved The Hobbit, Lord of the Rings or the Harry Potter Series. And as for the writing, it’s astonishing to see how floral YA used to be allowed to be. I wonder if this book wouldn’t hover somewhere between the YA and adult sections now, despite the main character being so young. In short, Ursula K. Le Guin is a master writer and story teller.